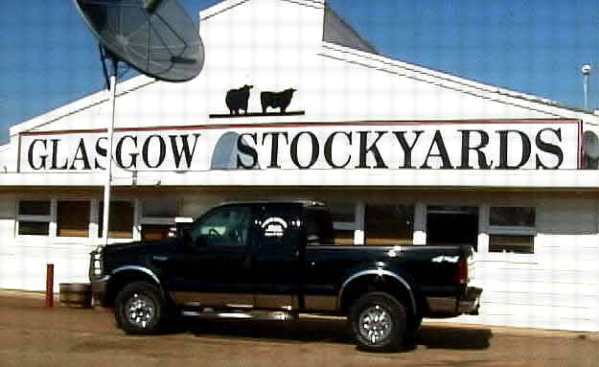 Welcome to the home page of Glasgow Stockyards Inc, located in Glasgow, Montana. We're northeast Montana's full service auction facility!!! For full market report and consignors, go here. $$HIGHER ON GOOD QUALITY ALL CLASSES FROM GRASS WEIGHTS TO REPLACEMENT QUALITY HEIFERS. IF YOU STILL HAVE CATTLE TO MARKET...GIVE US A CALL. SOLD TO STEVENSON DIAMOND DOT RANCH AT HOBSON FOR $12,000.00. ADJ. WW/RATIO 725/113. 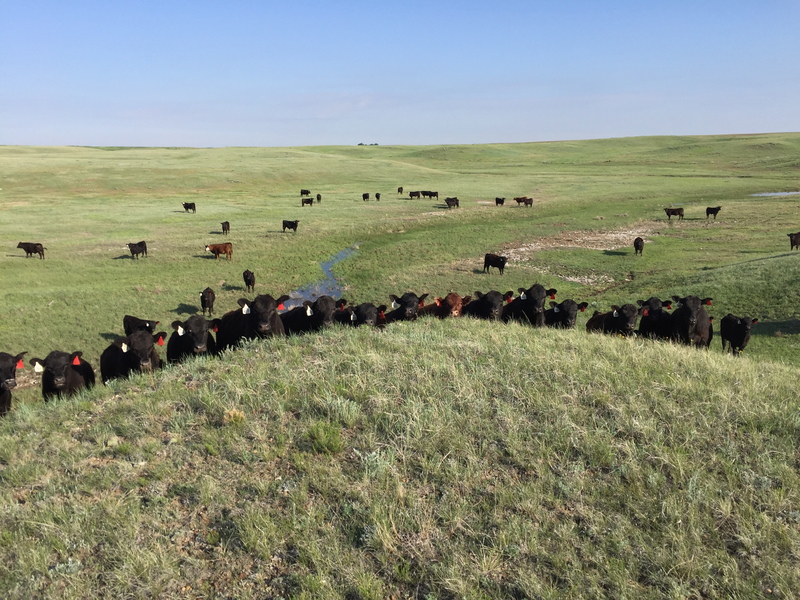 EPDS: WEANING +77; YEARLING +138; MILK +30. LOT 41 BIG DRY RESOURCE F46 SIRED BY S A V RESOURCE. RESOURCE IS RECOGNIZED AS ONE OF THE TOP SIRES FOR GOOD FEET IN THE BREED. HE SOLD TO DUCKWORTH RANCH OF COURVAL, SASK. FOR $9000.00. ADJ. WW/RATIO 713/111. EPDS: WEANING +79; YEARLING +138; MILK +21. CONNEALY COOL AND OUT OF A SYDGEN DEALER DAM. HERDBULL POTENTIAL. ADJ. WW/RATIO 777/114. EPDS: WEANING +61; YEARLING +105; MILK +21. WEANING +68; YEARLING +129; MILK +39. THURSDAY MAY 9--KOENIG RED ANGUS BULL-FEMALE AND GRASS WEIGHT STEER PRODUCTION AUCTION. SELLING 40 2 YEAR OLD RED ANGUS BULLS; 30 RED ANGUS REPLACEMENT HEIFERS AND 43 RED ANGUS STEERS. SEE CATALOG THIS WEB SITE. AND FAHLGREN ANGUS BULL PRODUCTION AUCTIONS. SEE CATALOG THIS WEB SITE.